While many gardeners despise the humble dandelion with its tendency to spread throughout grassy landscapes, others appreciate the dandelion for its nutritious and delicious uses in the kitchen. 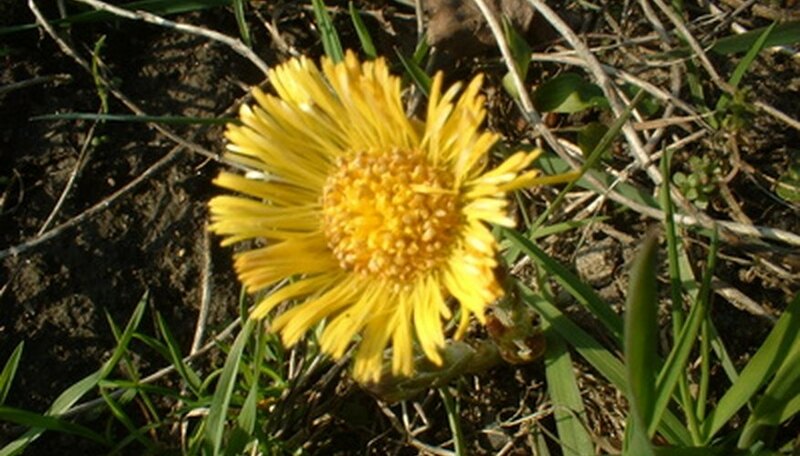 According to TurtleLakeRefuge.org, dandelion roots can be effective for treating constipation, arthritis and respiratory infections. Many people consume dandelion roots to cleanse the body of toxins as well. Prepare dandelion roots for an interesting kitchen experience. Harvest the dandelion plants in late summer when the stems are large and juicy. This will produce roots with the most nutrients. Insert the weeding fork into the soil around a dandelion plant and loosen the soil to pull the dandelion up out of the ground. Take care to get the entire taproot out of the soil (it may be very long). Collect as many dandelion plants as you desire. Shake the excess soil from the plants before you take them inside to the kitchen. Place the dandelion plants into the colander and run cool water over the roots to wash them thoroughly. Place the washed dandelions onto the cutting board. Cut the foliage that grew above the ground away from the roots to separate the roots. Reserve the dandelion stems and leaves for another purpose or discard them. Set the roots onto the baking sheet and set the oven to 200 degrees F. Bake the dandelion roots in the oven for one to two hours until they are dry and brittle. Remove the dried roots from the oven and allow them to cool to room temperature. Place the roots into the coffee grinder and grind them into a fine powder. Use the powder to make a dandelion root tea by boiling water and adding 1 tsp. of dandelion root powder to 8 oz. of hot water. Perform steps one through four above to harvest, wash and cut the dandelion roots. Slice the dandelion roots in half lengthwise to expose the insides of the roots. Place the sliced dandelion roots into the glass jar. Fill the glass jar to the top with vodka. Seal the jar tightly and place the jar into a dark cupboard. Shake the jar once or twice per week and allow the dandelion roots to sit in the vodka for two months. Remove the dandelion roots from the vodka after the time elapses and discard the roots. Mix approximately 1 tsp. of tincture with water and use as a tonic to enhance your health. After it is cleaned, fresh dandelion root can be used in soups and pastas without first roasting it. Since it has a strong flavor, start out by using a small amount.